August 1, 2011, Detroit, MI- The 5th Annual International Fuller Woman Expo, the 3rd in the United States, will be held on September 10, 2011 at the Detroit Historical Museum in Downtown Detroit, Michigan. The International Fuller Woman Expo features products, services and seminars that give plus size women a day of education, empowerment and enjoyment. As the largest international consumer event for plus size women, the Expo provides an excellent opportunity for businesses and organizations to target their core audience as well as reinforce their company’s image within the plus size community. Returning this year is talk show host, comedian and actress Ms. Kim Coles as the keynote speaker. She is best known for her portrayal of Sinclair on the hit television show, “Living Single” , a role that garnered her 4 NAACP Image award nominations. Ms.Coles is the host of the popular game show “Pay it Forward” on BET, making her the 1st African American Woman to ever host a primetime game show. Ms.Coles is also the co-host of “My Black is Beautiful”, a talk show that celebrates the diverse and unique qualities in African American women. DeLores Pressley. The 2009 keynote speaker returns to Detroit, Michigan. She brings her impressive blend of personal and professional experience to her presentations that allow her to connect with her audience, inspiring and energizing them to take their confidence and success to the next level. Curvy Café. New this year is the “Curvy Café” where you can partake some great food in between all the networking and shopping. Curves in Motion Fashion Showcase. Join sponsors IGIGI by Yuliya Raquel and DailyVenusDiva.com in highlighting innovative, ready to wear fashions from around the world. The show presents a showcase exploding with entertainment and fashion for your curves!! This year’s show will present a special wedding segment for the curvy bride. The Evolution of the Revolution” panel discussion. Every year the Fuller Woman Expo discusses ways to elevate the plus community. This year’s topic is “Plus Positivity In A Negative Society”. 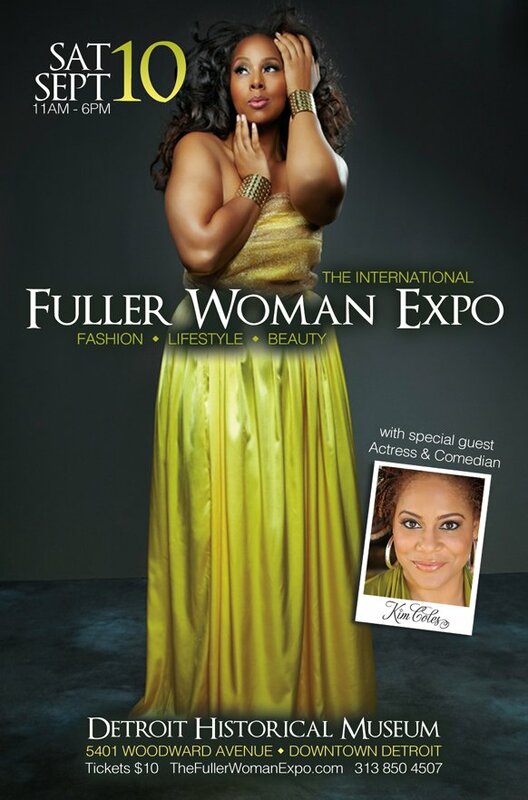 Admission to the International Fuller Woman Expo is $10. This gives you access to the above highlights. To purchase tickets, to become a vendor or sponsor and for additional information visit www.thefullerwomanexpo.com. This sounds awesome! I wish they had something like this in San Diego, CA. and at 10 dollars, thats a great price!